Dopamine is one of the most vital chemical messengers in the human brain, and it has many functions. Dopamine is involved in motivation, reward, attention, regulating body movement, and even memory. When this chemical is released in large quantities, it creates a feeling of reward and pleasure, and that motivates people to repeat specific behaviours. In contrast, having a low level of dopamine have been linked to decreased enthusiasm and reduced motivation to do things that most people would ordinarily find exciting. Dopamine levels usually are well regulated within the human nervous system. However, there are ways you can naturally increase your levels. Below are the ten best ways you can naturally boost your dopamine levels. Proteins are a combination of smaller pieces of building blocks known as amino acids. There are a total of 23 variations of amino acids, and your body can synthesise some of them while you have to generate the others from the food you eat. 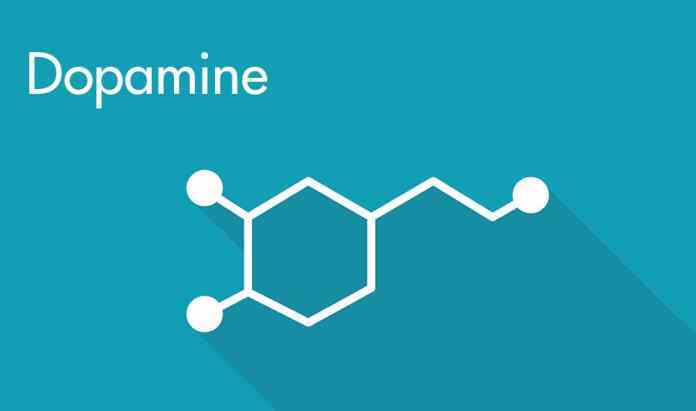 The amino acid called tyrosine has a significant role to play when it comes to the production of dopamine. There are enzymes within your body that work to turn tyrosine into dopamine, which means you need to have adequate tyrosine levels to have enough production of dopamine. Phenylalanine is another amino that tyrosine can also be made from. Both phenylalanine and tyrosine are found naturally in foods that are rich in protein like beef, turkey, soy, eggs, dairy, and legumes. Studies have shown that increasing the amount of phenylalanine and tyrosine in your diet can help to increase the levels of dopamine in a person’s brain and that may help to improve memory and promote deep thinking. When tyrosine and phenylalanine are eliminated from your daily diet, dopamine levels get depleted, and that isn’t good for you. While several studies have shown that an extremely low or high level of the amino acids mentioned earlier can have an impact on a person’s dopamine levels, it remains unknown whether or not normal variations of protein intake will have much effect on dopamine levels. It has been discovered by some animal research that saturated fats, like those found in the full-fat dairy, animal fats, coconut and palm oil, may disturb the signalling of dopamine in the brain when they are consumed in large quantities. These studies have only been conducted in rats so far, but the results of the research are intriguing. One study revealed that rats that were fed with saturated fats and got 50% of their calories from it had a reduced amount of dopamine signalling in the reward part from their brain when compared to other animals who received the same quantities of calories from unsaturated fats. Interestingly, the changes in dopamine levels in these animals occurred without a change in body fat, weight, blood sugar levels, or hormones. Some other researchers hypothesise there is a chance diets that are high in saturated fat may cause an increase in body inflammations, which leads to changes in dopamine levels. However, there is a need for more research. Several observational studies have also shown that there are links between the consumption of high saturated fats cognitive functioning in humans, as well as reduced memory. Nevertheless, it affects dopamine levels. Scientists have found out in recent years that there are close links between the brain and guts. In fact, sometimes the gut is called a second brain because it contains a large number of nerve cells that end up producing many molecules that signal neurotransmitters, and that includes dopamine. It is now obvious that certain species of bacteria reside in your guts can produce dopamine, which may impact behaviour and mood. There is limited research in this area. However, several studies show that when certain bacteria are consumed in large quantities, they may reduce symptoms of depression and anxiety in both animals and humans. Despite the apparent link between gut health and probiotics, it is yet to be well understood. There is a chance that dopamine production might play a role in how mood is improved by probiotics, but there is a need for more research to determine the level of significance of its effect. Mucuna pruriens, also known as velvet beans, contain high levels of L-dopa naturally, and that is the precursor molecule to dopamine. Studies have shown that eating velvet beans may help to naturally raise dopamine levels especially with people dealing with Parkinson’s disease which is a movement disorder caused by low levels of dopamine. One small study carried out on people with Parkinson’s disease revealed that consuming about 250 grams of cooked mucuna pruriens raised dopamine levels significant and reduced the symptoms of Parkinson one to two hours after food. Also, several studies on velvet beans supplements showed that they just might be a more long-lasting and effective remedy than traditional medications for treating Parkinson disease and also have fewer side effects. Although these foods are a natural source of L-dopa, it is essential to consult your doctor before you make any changes in your supplement routine or diet. Exercise is one recommended way for improving moods and boosting your endorphin levels. Improvements in a person’s mood can be noticed in as little as 10 mins after an aerobic exercise, but it tends to be at its peak at least after about 20 mins. There is a probability that this effect is not a result of dopamine levels. Nevertheless, animal research has suggested that exercise can help boost dopamine levels in the brain. In rats that run on the treadmill, the activity increases the release of dopamine and also increases the number of dopamine receptors in the reward part of their brains. However, these results are yet to be replicated consistently in humans. In a study that was carried out recently, adults who engaged in a moderate intensity treadmill running did not have any increase in their dopamine levels. But another study showed that participating in one hour of yoga at least six times weekly increased dopamine levels in adults significantly. Frequent aerobic exercise can also be of benefit to patients of Parkinson disease, as dopamine levels will increase and improve the stability of the patient’s body movement. Several studies have proved that engaging in several intense exercises regularly will significantly improve motor control in individuals with Parkinson’s. However, there is a need for more research to determine the type, intensity, and duration of workout that works best at boosting dopamine levels in humans. Nevertheless, the ongoing and presently available research on the subject is promising.